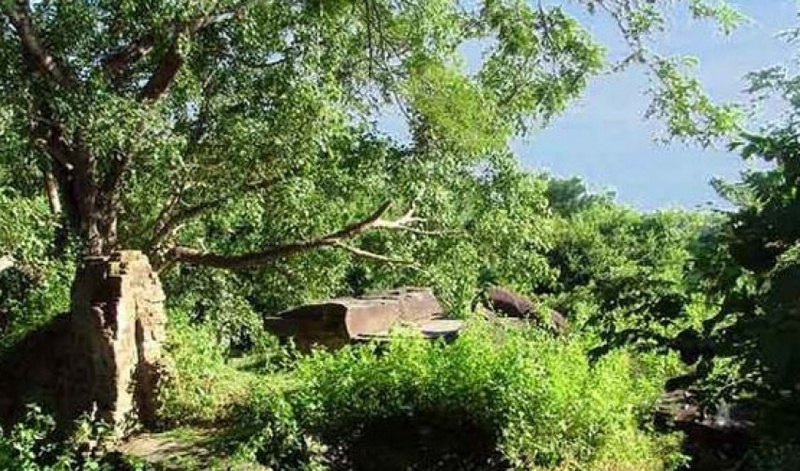 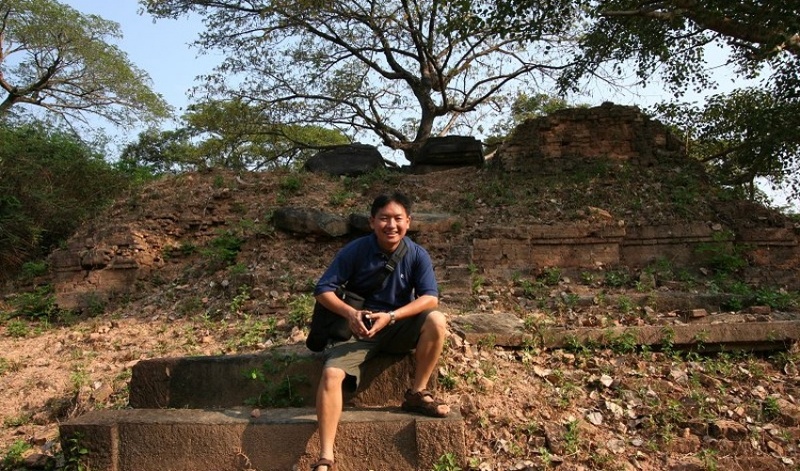 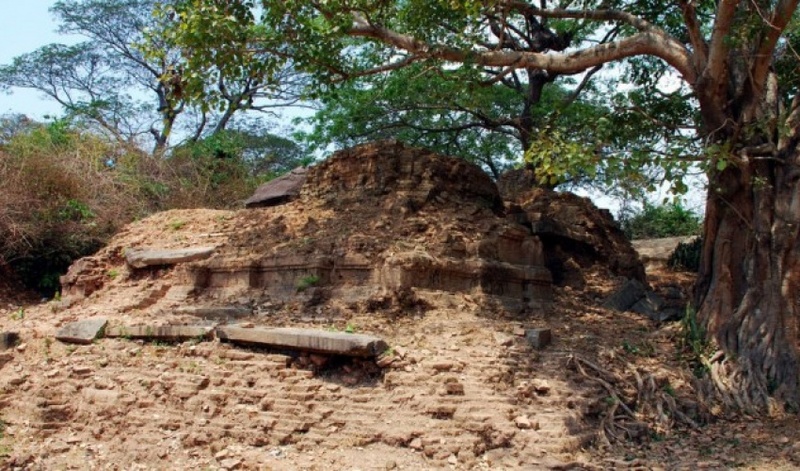 Prasat Ak Yum is situated on the southern bank of the West Baray, about 1 km from the baray’s southwest corner. 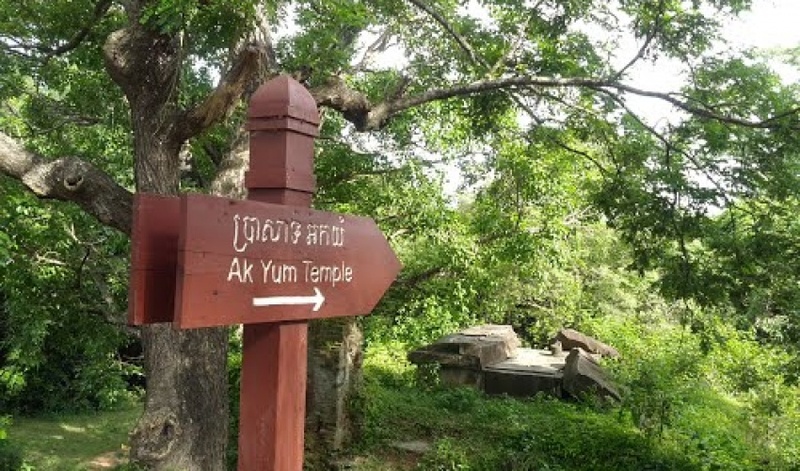 This is not a popular temple destination. 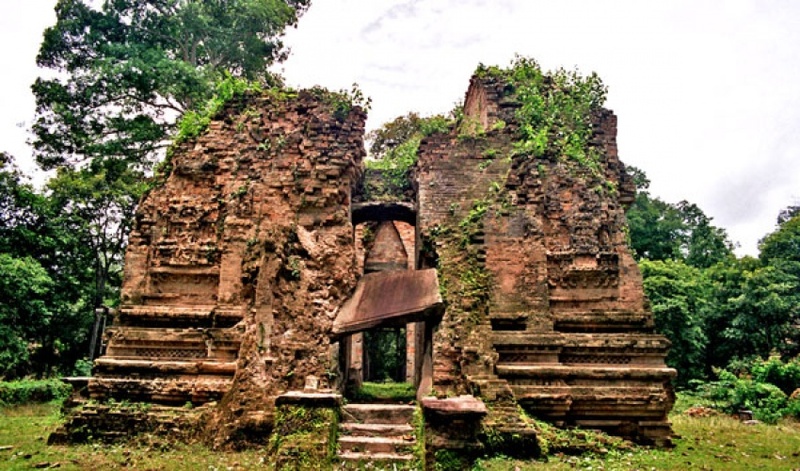 Because of its obscurity, many tuk tuk drivers and tour guides may not even know where it is located. 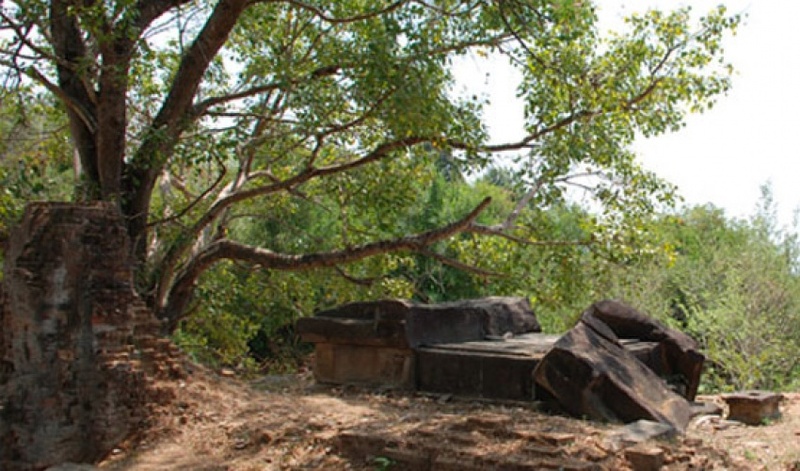 A Glimpse into Pre-Angkor Cambodia. 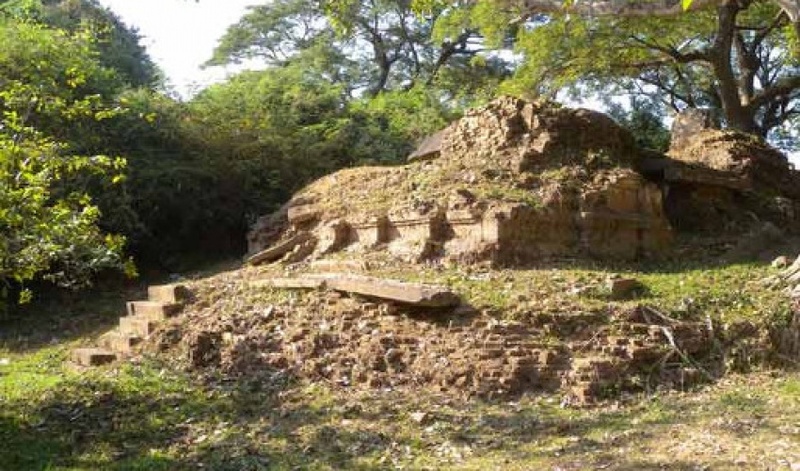 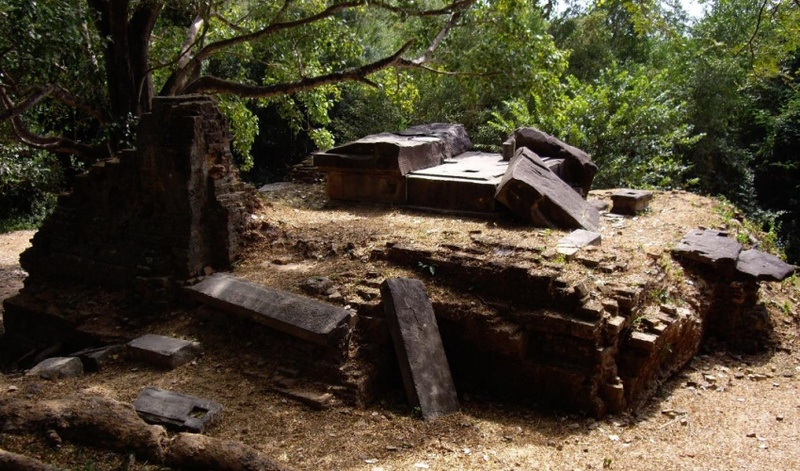 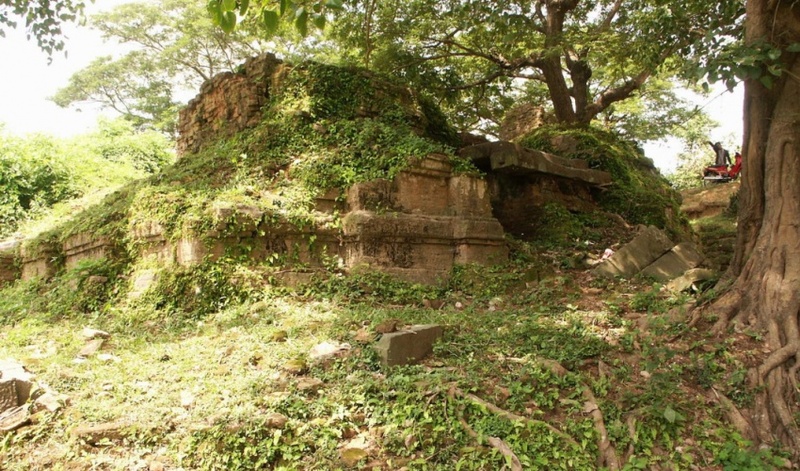 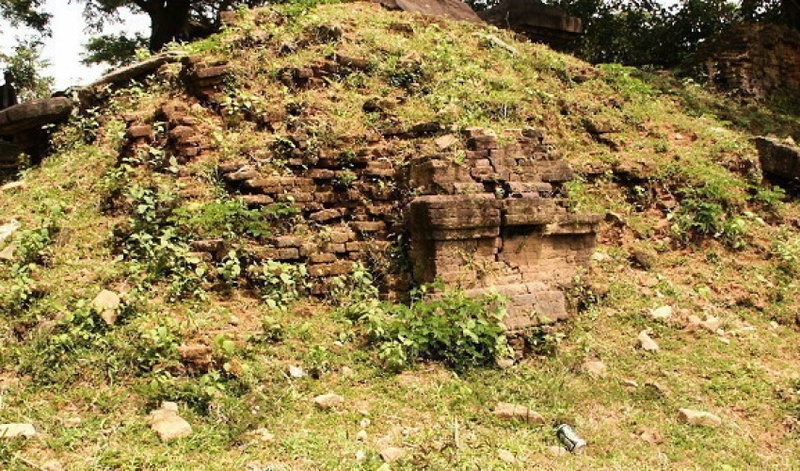 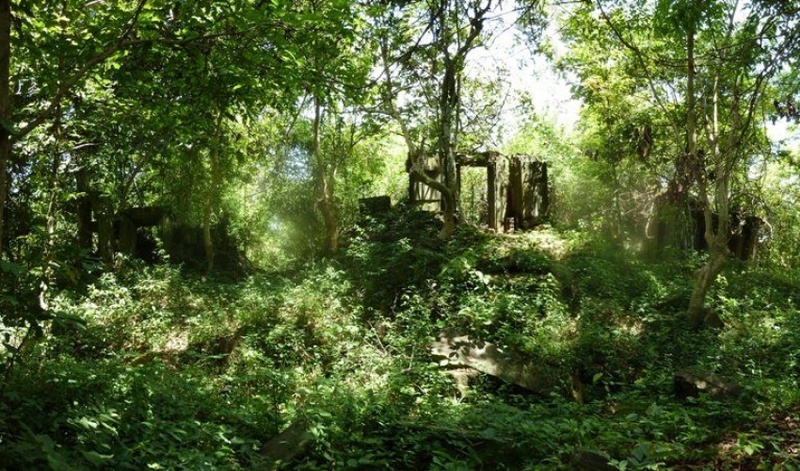 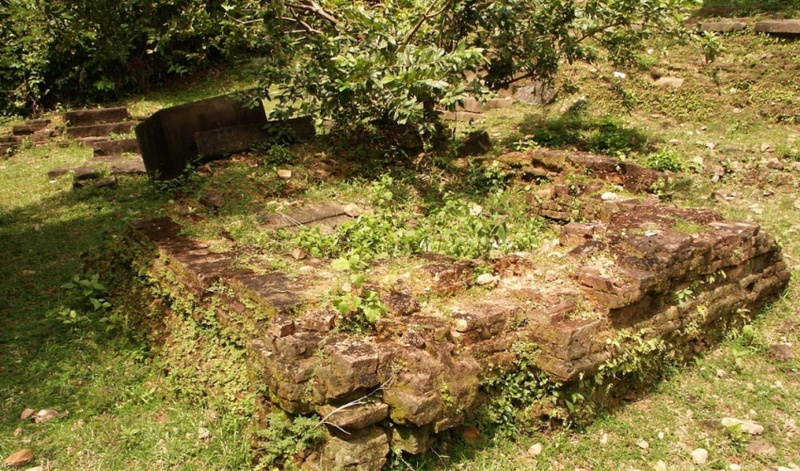 At first glance, the ruins of Prasat Ak Yum appear to be nothing more than a pile of rubbish. 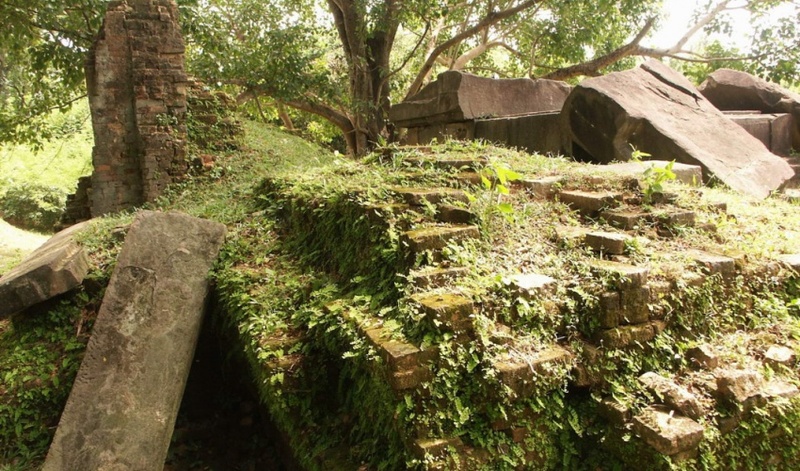 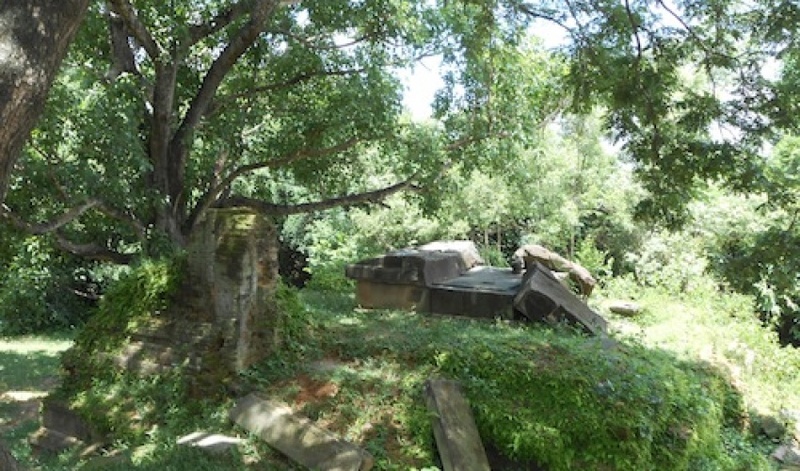 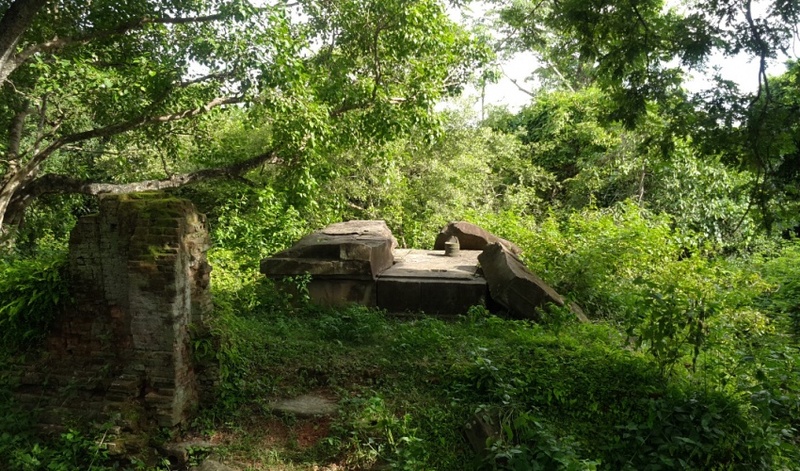 For this reason, many travelers and organized tours steer clear of this obscure monument. 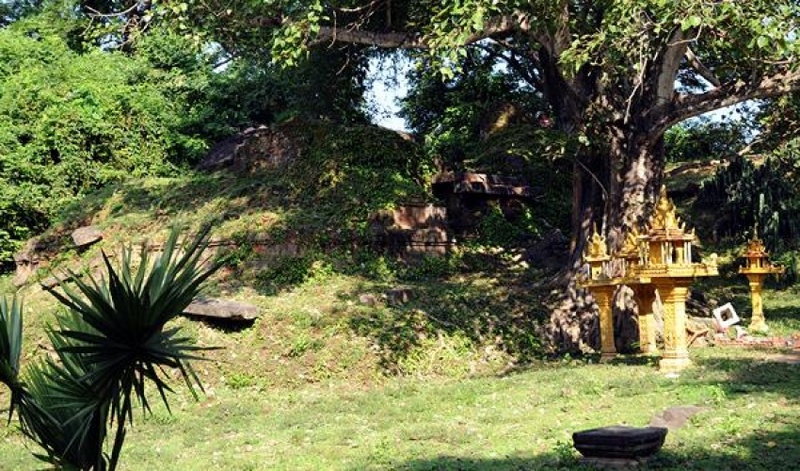 But for the serious Angkor enthusiast, Prasat Ak Yum is a must-see gateway into the pre-Angkorian period of the Khmer poeple. 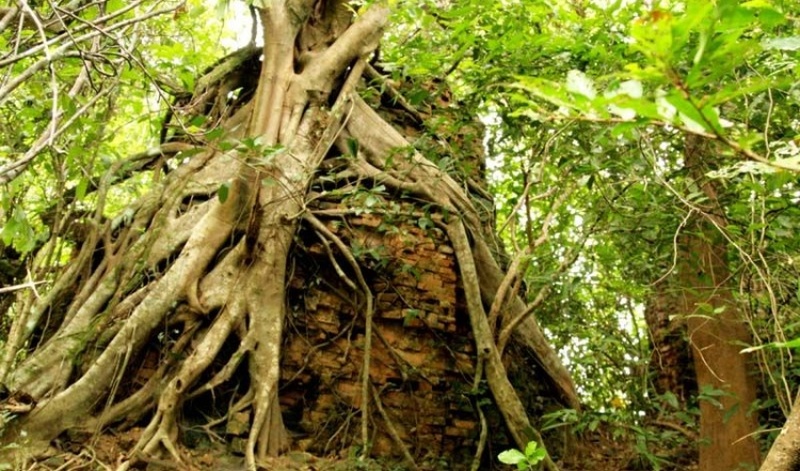 The temple-mountain architectural formula of Prasat Ak Yum paved the way for the more famous temples of the Angkor period, most notably Angkor Wat. 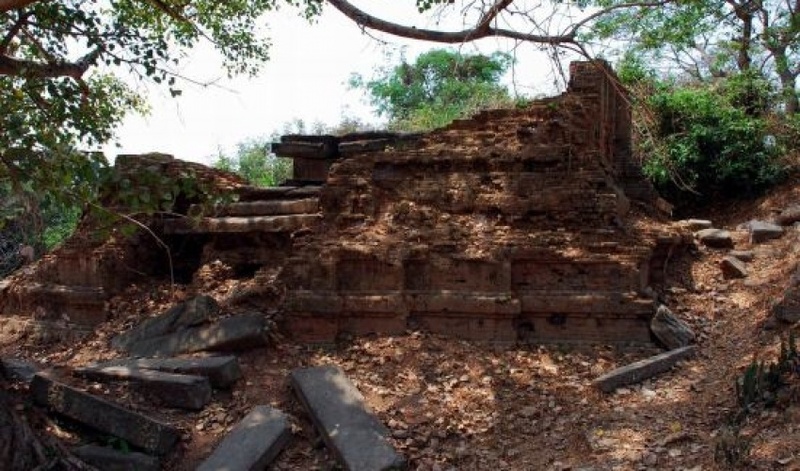 Ancient inscriptions located on some of the temple’s jamb stones reveal that the patron deity of Prasat Ak Yum was Gambhiresvara, the Hindu god of the depths.